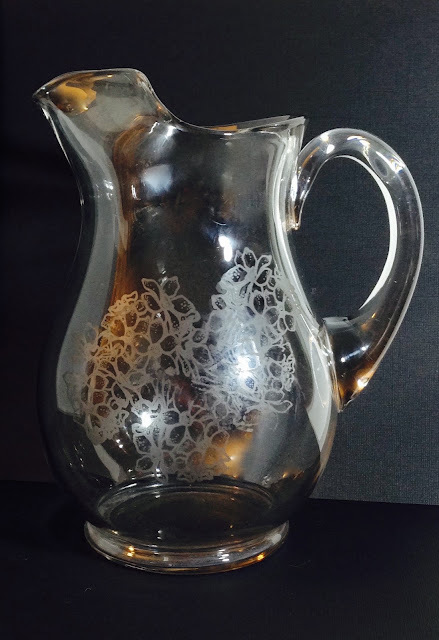 This glass pitcher wasn't easy to photograph, between the glare and the etched image getting an echo-ey reflection because the glass is so thick - but trust me when I say it looks really pretty! I used my trusty etchall® creme with a preview sample of one of their new etchnet™reusable silkscreen stencils. Right now there are Halloween stencils available, with new designs coming out soon. 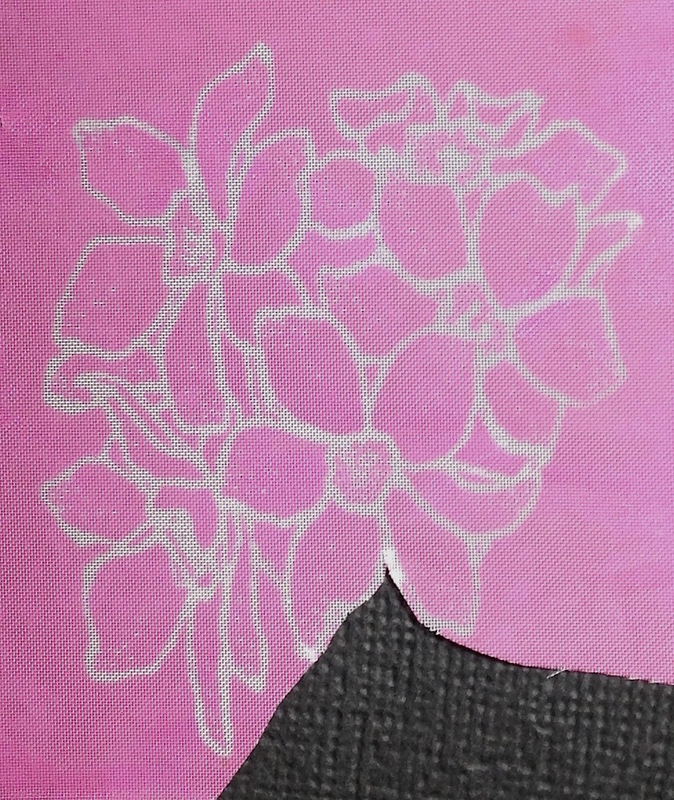 My sample stencil was a bouquet of flowers. I liked the cluster of flowers just by itself, so I trimmed away the bunch of stems. I realized later that I didn't need to cut it away, I could have just covered it with painter's tape, d'OH! I etched the flowers five times, snugly taping the stencil against the curve of the glass and nesting the clusters right beside each other to create a random repeat design. I stopped at five because I liked the overall organic shape, but it would be pretty to keep etching all around the pitcher, too.